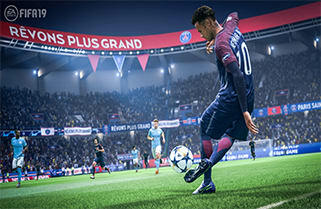 EA Sports FIFA 19 is here to offer incredible scenes on and off the pitch, with dynamic game play and precise control of every movement. 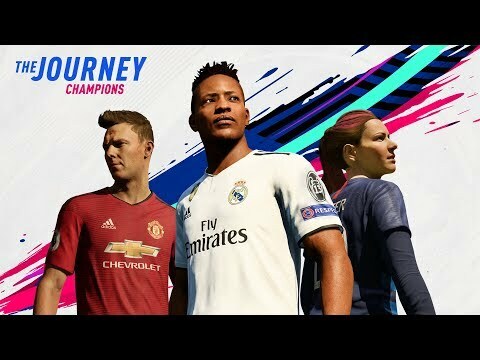 Play the finale of the incredible story of Alex Hunter in The Journey: Champions, a brand-new mode in FIFA Ultimate Team, enjoy even more leagues in Career and much more. It’s time for the elite players to rise and enjoy the pinnacle of football across the variety of new modes. Are you ready to aim for goal? What UCL Bonus Content* do I get with this February update? 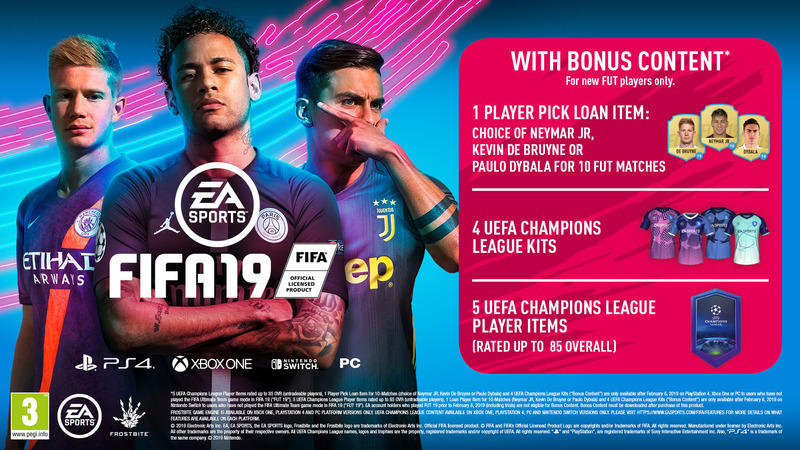 Additional UCL Bonus Content* is for new FUT players who have not played the FIFA Ultimate Team game mode (including trials) in FIFA 19 before February 6, 2019. Grab your switch and take control of the pitch, buy today. Prepare for the most authentic football game yet, buy FIFA 19 on Switch today. 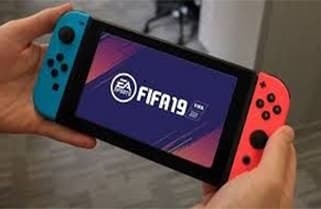 So, is FIFA 19 available on the Switch? Yes, it is! EA Sports present FIFA for your handheld device so you can experience the game wherever and whenever you wish. Enjoy the football experience on your Nintendo Switch. You may recognise the accurate AI match that showcases the players real-life personality and skills in-game. Each individual player will come to life offering life-like tendencies in-game alongside some of the world’s best tactics. Striking overhaul has also been introduced offering more accurate gameplay and better contact on first time shots, better strikes, and offering more opportunities for players in-front of the goal. The Timed Finishing mechanic further improves this accuracy giving you even more precise control to finishing the shot. A perfectly timed strike will be more likely to reach your player. 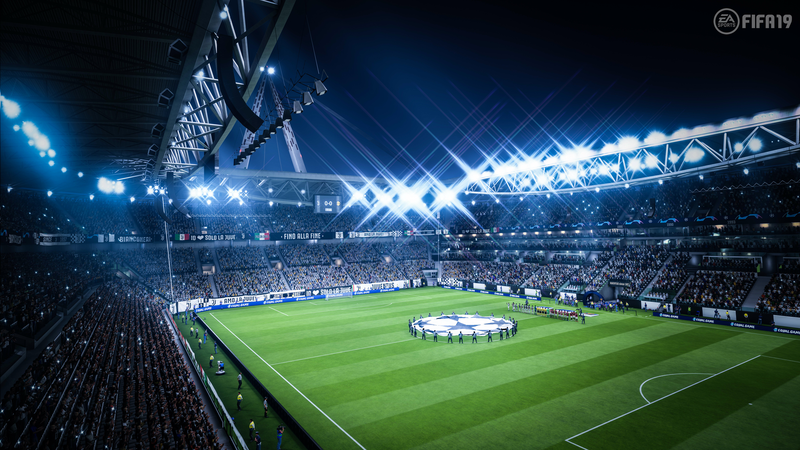 Similar to the UEFA Champions League, Premier League, Bundesliga, and La Liga, there will be official broadcast packages available to commentate over your games and immerse players in the match. Connect to your television, hold the device in your hands or enjoy table top mode so you can enjoy every element of FIFA on-the-go. Designed especially for the Switch, the split Joy-Con controls also ensure you can compete with your friends on FIFA wherever and whenever. No need to buy anything extra – simply separate the controllers and get ready for kick off. FIFA on Switch will also support Pro Controller configuration. You might be wondering what modes you can play on FIFA 19 on the Switch? Play with your friends and track your match wins against theirs in Online Friendlies in both FIFA and FIFA Ultimate Team. It’s a five-match season, so every goal, tackle or defence can make a huge difference. You can also build your own perfect squad in FIFA 19 Ultimate Team. Think strategically as you compete against the thousands of other players in the most popular mode of FIFA. 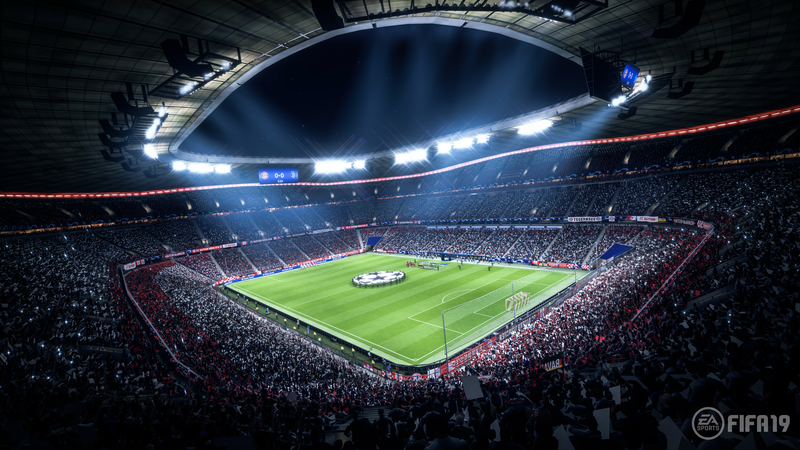 Including content from UEFA Champions League and Europa League, these prestigious league’s come to life – especially with live content. But there are even more modes than that. You can also enjoy Kick-Off, Career Mode, and skill games. Get a front row seat to your own match and buy FIFA 19 on Switch today. 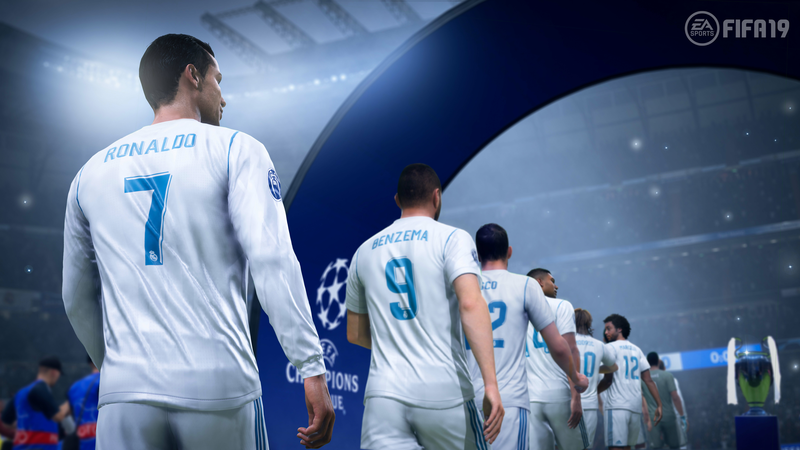 The most popular game mode from FIFA is now coming to the Switch featuring content from UEFA Champions League and Europa League! Watch the prestigious club competitions come to life in FIFA Ultimate Team. 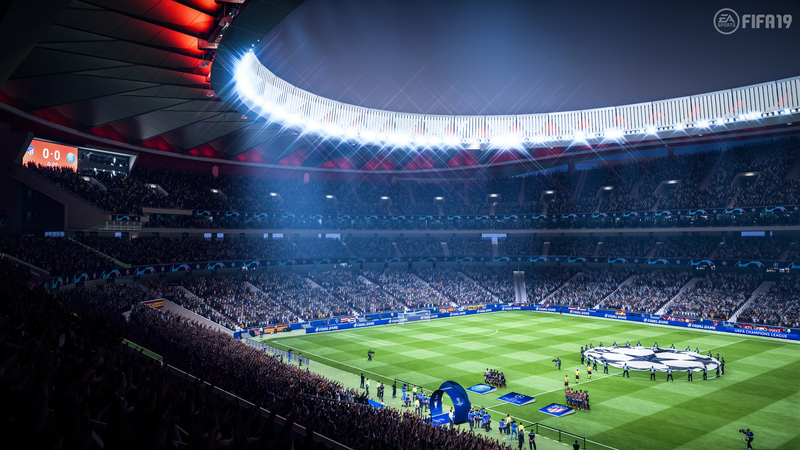 Get ready for the UEFA Champions League, Europa League and Super Cup come to life in FIFA 19. With live content and authentic Career Mode integration, you can experience the greatest competitions. Designed for the Switch, you can play FIFA 19 wherever, whenever and however you want. Separate the Joy-Cons to enjoy multiplayer game modes, play on the go, or connect and play on your TV! Prepare to be immersed in the most authentic football experience on the Switch. Introducing distinctive teams, player personalities, and more to the world’s most prestigious leagues.